In this project our client had the need to close a central patio in the access to the house. This space was not used with any use, except the simple fact of occupying a space. Along with this, he wanted to redesign the lower part of the plot and add a pool. The patio was closed with a wooden structure that brings personality to the house. A large space was obtained, without pillars, and open to a large new terrace. All topped with wooden beams overlooking the rear area of the plot. In this area there is a space with seats, and a set of sail type awnings and a large pool. We built a large "infinity edge" pool. An impressive space of relaxation surrounded by water was created. 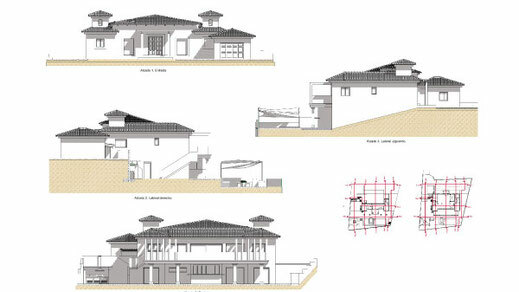 The villa has a basement, a ground floor and the exterior that total a total of 188.51 m2 of useful area. 2 bedrooms, 5 bathrooms, dressing room, garage, 2 storage rooms and storage areas in the basement. The villa has 2 floors and an outdoor area perfectly distributed and cozy. 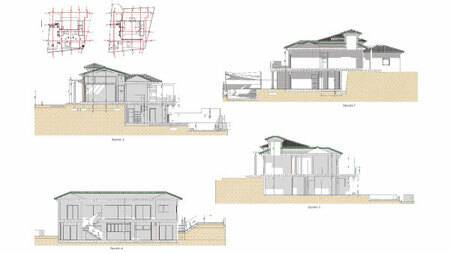 The constructed area of this villa is 188.51 m2. In the basement we have 2 storage rooms, 3 bathrooms and a distributor that total 87.96 m2. The ground floor of 154.54 m2 consists of a living room, kitchen, 2 bedrooms, 2 bathrooms, dressing room and garage. 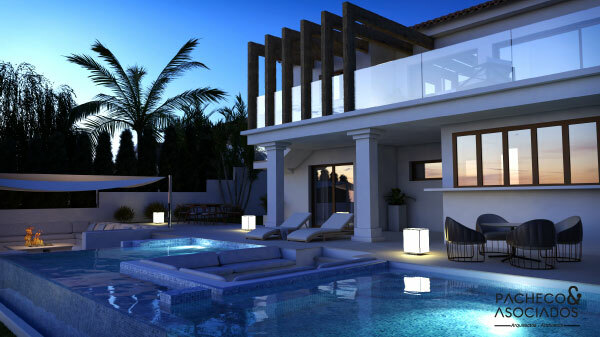 And the outdoor area has a patio of 13 m2, two terraces and the chill out area of 37 m2.